The answers to the most frequently asked questions on Djpod are on this page. The questions are categorized and a search form is available to help you to quickly find your answer. Djpod is a podcast hosting service where you can create a podcast and easily upload audio and video files, broadcast it on the internet. Djpod allows you to register your podcast on iTunes and get the necessary visibility to a successful podcast. Finally, if you want to create a podcast, Djpod is simply the unavoidable step. Will Djpod always be free? Yes, Djpod will always offer a free version of its services. However, to support Djpod and enjoy all the benefits and all the features we provide, we recommend you to get a subscription. If something does not work, what to do? Try again! This is sometimes the best way to solve a problem. If it does not work after several attempts, try clearing the browser cache. If this does not solve your problem, close your browser and restart it. And if it still does not work, see if you can not find a solution to your problem in the Help Center. To log out, hover "Manage your podcast" to slide down the menu, then click "Logout" at the bottom right of the menu. Otherwise,click here. 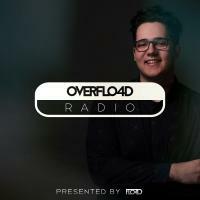 Can I find a Djpod logo in high resolution? You can find Djpod logos in high resolution and in different colors on the page Press and Resources. 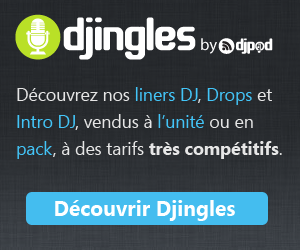 Djpod is available in English and French. If one of these two languages ​​is detected in settings of your browser, it will automatically be used. Otherwise, by default, English is used. To choose yourself the language to use on the site, you can choose at the bottom of each page by clicking on "Language". You can also set it on the Privacy page. I really need to talk to someone, how? If you need help quickly, please contact oursupport team. However, be sure to look for an answer to your question in the FAQ before contact us. Can I have multiple podcasts? You can have several podcasts, they can also be attached to the same ID (e-mail), which facilitates the management. However, only one of the podcasts can benefit from the free version, so the other must have a plan. What can I get with a free account? Can I have more than one free podcast? It is forbidden to combine the free podcasts. If you need more storage space, take a look at our plans. The accumulation of free podcasts are expressly prohibited in our Terms and conditions, we can delete podcasts which do not respect this rule without previous notice. Will my podcast be deleted one day? As you connect sometimes on Djpod, your podcast is considered active and will not be deleted. In any case, before any deletion, some e-mails will be sent to notify you of the impending removal. Even if you choose to continue your podcast with the free version (STARTER) of Djpod, you must go to the Plans and pricing to select the plan, the change is not automatic. What good is it to get a subscription? We have done everything to bring you the maximum service for a minimal price! How to subscribe to a paid subscription? You must go to the page with all our plans and pricing and choose the one that best suits your needs. You can subscribe for a month, six months or a year. Opting for 6 months or a year makes you save money! We accept payment by credit card (Visa, Mastercard, American Express), Paypal, check and bank transfer. If you paid by credit card or PayPal, renewal is automatic. You are automatically taken, and you have nothing to do. If you paid by check or bank transfer, you must return to the page plans and pricing to perform a new transfer and extend your subscription. How to do if I changed my credit card? If you have changed your credit card, go to the section Manage your subscription and click on Change credit card. If you paid by PayPal, you must change this directly on the PayPal interface. We accept payment by credit card (Visa, Mastercard, American Express), Paypal, check and bank transfer. Can I see my payments history? You can access your payments history in the section Manage your subscription, by clicking on the Your invoices tab. You can access your payments history in the section Manage your subscription, by clicking on the Your invoices tab. Invoices are PDF files. If I pay, I can upload anything? Pay does not give any rights. As a Djpod subscriber, you must comply with all Terms and conditions, like a free user. Can I change my plan before the end of my current subscription? Yes, you can change your plan, but you will not be refunded for your current plan. Be sure to wait until the end of the current subscription to change. If you just subscribe for 6 or 12 months and you finally want to take a higher subscription, please contact our support team to find an agreement. We are very open and at your service! Can I change the frequency of my payments? It is not possible to change the frequency of your payments, so you have to cancel your current subscription by going on Manage your subscription then clicking on Cancel your subscription. Then you go to the Plans and pricing page to subscribe a new plan, with the new payements frequency. Can I go back to the free offer if I have a paid subscription? It is not possible to manually go back to the free plan when you subscribe to a paid plan, for reasons of storage space. Note that if you let your subscription expire, your podcast will be switched back to the free plan. However, your oldest episodes will be deleted during this operation in order to bring your quota down below the 250 MB of the free plan. How to reactivate my podcast after a failed payment? If you paid via PayPal and payment failed, PayPal will attempt a new payment 3 days after the one whiwh failed. If you do not want to wait this time, simply go to Plans page and create a new subscription. The old one will be automatically canceled (PayPal will not retry the payement 3 days later). If you paid by credit card and the payment fails, Djpod will try again the next day. If after 10 attempts, the payment is still refused, then the subscription is canceled and your podcast disabled. If you paid by credit card or PayPal, go to Manage your subscription and click on Cancel your subscription. If you paid by check or bank transfer, you have nothing to do, let the deadline come. What is the difference between the PRO plan and the others plans? The PRO plan is the highest plan you can subscribe on Djpod. She has several dedicated pages (djpod.com/pro or djpod.pro) to present all of its features. It is dedicated to those who always want more (unlimited storage, real-time statistics, podcasts under the spotlights on Djpod ...)! Will my podcast be under the spotlights if I have PRO plan? Only if you subscribe to PRO plan for one year. Then you can access the Interview planning and select a date in the schedule, to enjoy a week under the spotlights on Djpod. Can I go back to a lower plan if I have PRO? It is possible to get back to a lower plan when you have a PRO plan: you must cancel your PRO subscription by going on Manage your subscriptiont then click on Cancel your subscription. Then go to Plans and pricing to subscribe a new subscription. How to display a Facebook Likebox on my page Djpod? You must first make sure you have installed the Facebook application by going to theApp Center. Once you have connected your Facebook account and your podcast, you must select a Facebook page (not a user profile) in the combo box just after Post on. Once the application is connected to a Facebook page, you have to go to Customize your page and check Activate Facebook Likebox. How to display a Djpod tab on my Facebook page? Once the application is connected to a Facebook page, you have to check Display a Djpod tab on your Facebook page. How do I connect my account Djpod and my Facebook account? You must go to the App Center, find the Facebook app and click on Add this app. You can also go to the Login page, click on Login with Facebook then enter your e-mail and Djpod password to link your Facebook account and your podcast. How do I connect my account Djpod and my Twitter account? You must go to the App Center, find the Twitter app and click on Add this app. You can also go to the Login page, click on Login with Twitter then enter your e-mail and Djpod password to link your Twitter account and your podcast. How to change the title of my podcast? The title of your podcast can be changed in Podcast settings section. Can I change the url of my podcast? The address of your podcast is the only parameter that can not be changed . Be sure to choose carefully the address when creating your podcast. How to change the image of my podcast? The image of your podcast can be changed in Podcast settings section, in the Podcast picture tab. How do I delete my podcast? To remove your podcast, go to Podcast settings section, and click on delete your podcast at the bottom of the page. Do I have an XML feed address with my podcast? Djpod provides a valid XML feed for your podcast, in order to submit it on the iTunes Store. You can find the address of your feed in the Podcast srttings section, in the iTunes tab. How to get more listeners? Djpod provides you with a tool to create your podcast easily but can not bring you listeners by thounsands. Communication about your podcast is your job! Enter your play list using our enhance online tool. Be present and active on music forums, reviewing other podcasts Djpod to link and integrate you into the Djpod community. You can also post the link of your podcast on the wall of our Facebook Page Facebook (on the wall, not in the comments of our posts). How to be in the podcasts in the spotlights? We will contact ourselves podcasters we want to display in this section. It is useless to send us an e-mail to be included in this section, we will not be able to process your request. If we are interested in your podcast, we will contact you. You can also subscribe to a yearly PRO plan: it includes a highlighting effect for a week in Podcasts in the spotlights. Why some changes do not appear immediately on iTunes? iTunes is a kind of podcast directory, which contains millions of podcasts, so they can not update all podcasts in real time. This is why most of the time, a delay ranging from several hours to several days may be required for a change (change of title, image ...) to appear on iTunes. What is the deadline for validation of my podcast on iTunes? The deadlines vary, they generally vary between 1 and 3 days. We are not responsible for the delays of validation of iTunes. Should I submit myself my podcast on iTunes? If you subscribe to a PRO plan, your podcast will be registered in less than one hour on the iTunes Store. If you subscribe to a EXCLUSIVE plan, we take care to register your podcast on iTunes, with the usual delay time of validation on the iTunes Store (usually 1 to 3 days). In all other cases (PREMIERE, AMBITION and STARTER plans, you must register the podcast yourself on iTunes. Why iTunes rejected or deleted my podcast and what to do? When submitting the address of your feed, instead of submitting http://feeds.djpod.com/yourlogin, type http://feeds.djpod.com/yourlogin/podcast ou http://feeds.djpod.com/yourlogin/audio. Changing the address bypasses the message in iTunes "This feed seems to have already been submitted." What is the purpose of register the podcast on iTunes? iTunes is the software that has popularized podcasts, and is now the largest podcast directory in the world. Be present in this directory ensures you visibility, and if someone is looking for you, he'll find you, and even people who are not looking for you will find you! iTunes asks me the address of my XML feed, what is it and where to find it? The feed is an XML file containing information about your podcast. iTunes will use it to display the information of your podcast. The address of the XML feed can be found in the Podcast srttings section, in the iTunes tab. iTunes communicate with you by e-mail, but maybe these emails were filtered by your spam. In this case, remember that you can find all the information related to validation (or not) of your podcast on iTunes in the Podcast settings section, in the iTunes tab. If unfortunately iTunes rejected your podcast, see this question to know what to do. This is why most of the time, a delay is required before your new episode appears on iTunes. This delay is variable and Djpod is not responsible. How can I see my total stats? Your total statistics are displayed on the page of your podcast in the right column. If you choose to hide your stats, you can see in the Statistics section, by clicking on the date (top right of the page) and clicking Since podcast. What is the difference between "downloads" and "plays"? A play is accounted when a user clicks the Play button in the Djpod player on your Djpod page, or on any other page where you embedded the Djpod player. A download is accounted when a user clicks on the Download button in the Djpod player, or download the episode through software like iTunes. What is the frequency of stats update? Every night, our server analyzes all the data collected the previous day and generates statistics report. The statistics are updated daily. Every morning when you wake up, you can view the stats of the last day for breakfast. For night owls, you can even check the stats before going to bed. Can I see stats for different periods? In the Statistics section, the analysis period is set by default to last 15 days. By clicking on the date (top right of the page), you can choose a different analysis period. Predefined periods are purposed: This week, This month, Since podcast creation. How quickly will I see the stats after subscribing to a plan? The statistics are updated each night, so when you subscribe to a plan, your first statistical report will be available the day after your purchase. How to hide my total stats on my page? In the Customize your page section, uncheck Display stats on page. What is the listeners source? The listeners source shows the ways by which users have listened or downloaded your podcast episodes: from a computer, from a mobile phone, from iTunes, etc..
What are the Traffic sources? The traffic sources tells you which websites sent visitors to your Djpod page. What is the performance index? The Top Djpod is established thanks to this index. What are the statistics in real time? The real-time statistics are an exclusive feature of Djpod. They allow you to monitor in real time the number of downloads and plays on your podcast. This feature is only available on a PRO plan. In practice, if you start a download on your podcast, you will see less than 5 seconds later in the Statistics in real time section. All the statistics are updated throughout the day, whereas in other plans (STARTER, PREMIERE, AMBITION and EXCLUSIVE), statistics are updated once a day. You can change this information in the Privacy section. You can change your password in the Privacy section, in the Password tab. Comment choisir le type d'e-mails que je reçois de Djpod ? You can choose the type of e-mails that Djpod sends you in the Privacy section, in the Notifications tab. How to confirm my email? After registering, Djpod send you an email with a link that allows you to activate your podcast. If you have not received this e-mail, you can request a new one on this page. Remember to check your junk mail, some of our e-mails may unfortunately end up in this type of folder. What are the file size limits? Should I compress my files before uploading? Although you can upload uncompressed files (wav, aiff) on your podcast, we recommend you to compress your files before uploading them. Indeed, an uncompressed audio file will take very long time to download for your listeners and will fulfill their storage space very quickly. To save space on their computer or mobile, they will remove your podcast. Send uncompressed files is therefore not a method to retain your listeners. To find out how well compress your files, read our Compression guidelines. How do I compress my files? We recommend you to read our Compression guidelines in order to optimize your episodes. Can I replace a file and keep the comments, likes, stats, etc? You can do this! Go to the Episodes list section, and click on the title of the episode you want to change the file. The page will then load the episode, and you will have to click on theReplace this file button just above the player. How to delete an episode? To delete an episode, go to the Episodes list section, and in front of the episode you want to delete, click the arrow pointing down and click on Delete. How to change an episode settings? Go to the Episodes list,and click on the title of the episode you want to change the settings. How to see the stats of an episode? Go to the Episodes list,and click on Episode statistics under the title of the episode you want to view statistics. How to change the image of an episode? Go to the Episodes list,and click on the title of the episode you want to change the image. Can I add information while the file is being upload? Of course! This is also why our upload module is the most powerful you can find. You first select the file on your computer, and while the upload is in progress, you enter the title, description, chapter breaks, etc.. No waste of time! Why is it taking so long to upload? If, despite these recommendations, the upload is still long, maybe it come from your internet connection which is not strong enough. What types of files are allowed? All other plans : aiff, mp3, m4a, m4b, ogg, wav files for audio and flv, mov, mp4, m4v, mpg files for video. Of course! However, the upload of videos is only available for podcasts with a subscription. My video will she compressed before being online? We do not encode your files after upload. Your video will be posted as it is, so be sure to optimize compression before upload. What browser should I use to upload? Also remember to regularly update your browser! How to enable FTP upload? FTP upload should be enabled in the App Center. How does the FTP upload works? In the Login and Password fields, enter the login information displayed on the App Center, under the FTP app. Once the upload is complete, your episode will be added to your podcast automatically after a few minutes. Enhancing is cutting the episode into chapters, in order to move from one track to the other, see the name of the song playing and integrate illustrations. How to create enhanced podcast? You can use our online tool when you upload an episode in the Chapters tab (only from a AMBITION plan). However, a software like Garage Band will do this (only on Mac). The file I uploaded will change? Your file will be encoded in AAC format, imposed to add chapters. We keep the original bitrate of your file, the quality will not be compromised. What software is needed to read the chapters? This system has been popularized by Apple, so the chapters are currently recognized only by the official Apple software like iTunes. Note that since Apple has separate podcasts of the Music app on the iPhone by dedicating an application, chapters created with Djpod online tool are no longer recognized by the iPhone. This bug comes from the application, not of our system, we have repeatedly reported the problem to Apple, but it currently remains. Can I create an enhanced episode without Djpod tool? A software like Garage Band can create chaptered and illustrated podcasts, but this software is only available on Mac. Does Djpod has an iOS app? Of course! You can download it here. How can I go to Djpod with my smartphone? What can I do with Djpod iPhone app? A detailed presentation of the iPhone application is available on this page. Is there a Djpod application for Android? Not yet, but our developers are actively working on it. It will be probably released in September. Is there a Djpod application for Windows Phone? Not at the moment, but we think about it! Is there a Djpod Blackberry application? Any abuse can be reported to us at abuse@djpod.com. Give as much detail and information about the abuse you are reporting so that our team can respond quickly. You can contact us at abuse@djpod.com to report this kind of behavior. However, you must prove that this file belongs to you, before we can remove the offending podcast.